Nick Said: This card make me feel happy. Perfect mix of bright, bold colours, cutest little coffee cups and I love the way she played with the different fonts adding the sentiment. Jennifer Said: I really like how Tenia used SO many elements, fonts and textures on this creation. It's just fantastic! 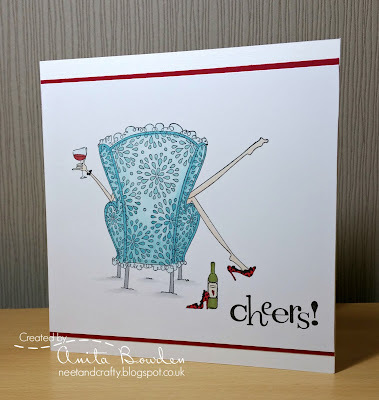 Blankina Said: this card is absolutely perfect...eyecatching ! Dangina Said: Such a beautiful cup of joe! Her fussy cut cup and design are awesome!! Pam Said: Fantastic watercolor card! Just love that coffee cup and the sentiment! You rock! 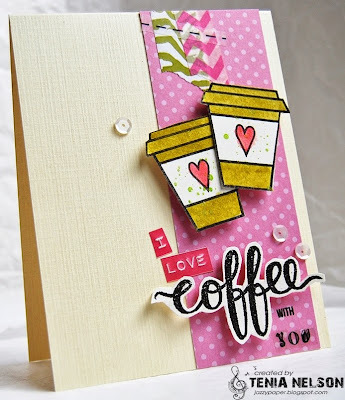 Rebecca Said: I just love her take on our coffee, tea or favorite beverage challenge! Her coffee cup shaped card is just beautiful. The pretty image is so beautifully colored and those pearls are just the perfect touch! 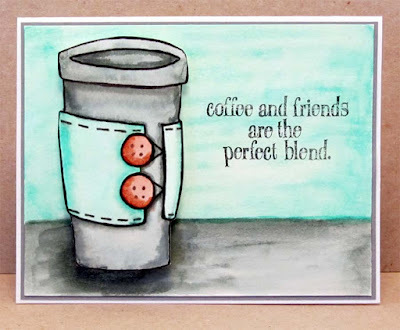 Jennifer Said: AJ rocked the watercoloring with this fabulous image and made a fairly straightforward card POP with her use of shading and elements. I'm so happy she shared it with us! Wendy Said: I just love the elegance and simplicity of this CAS design. The mix of ink and paper piecing and those lovely teacups. Just an utterly perfect card for this challenge. Beautiful. 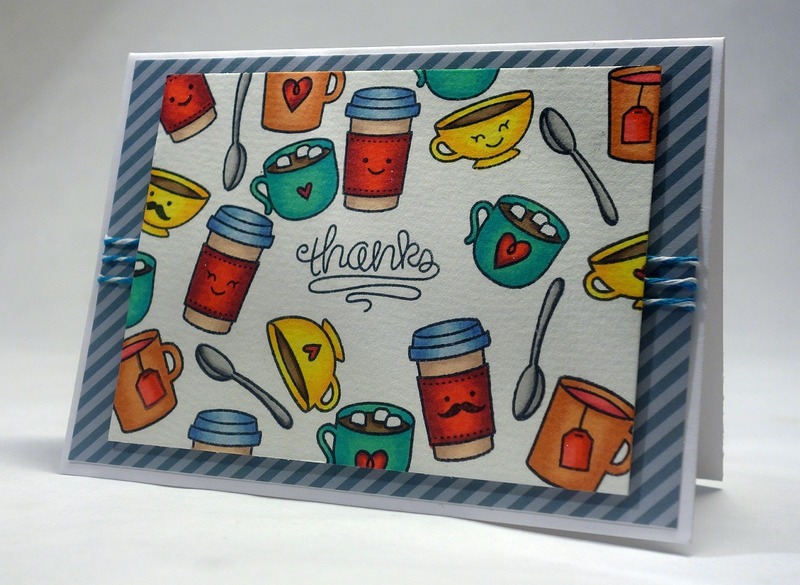 Holly Said: LOVE the happy little cups and images, great colors and fabulous card design. Denice Said: I just love this image and think we've all felt this way at one time! Great job Anita! 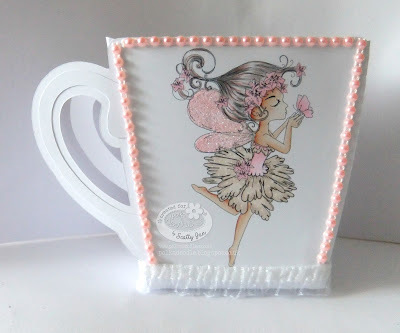 Blankina Said: Such a special cup card, love all those romantic details. Thank you so much Holly..I'm so happy that you chose my card..